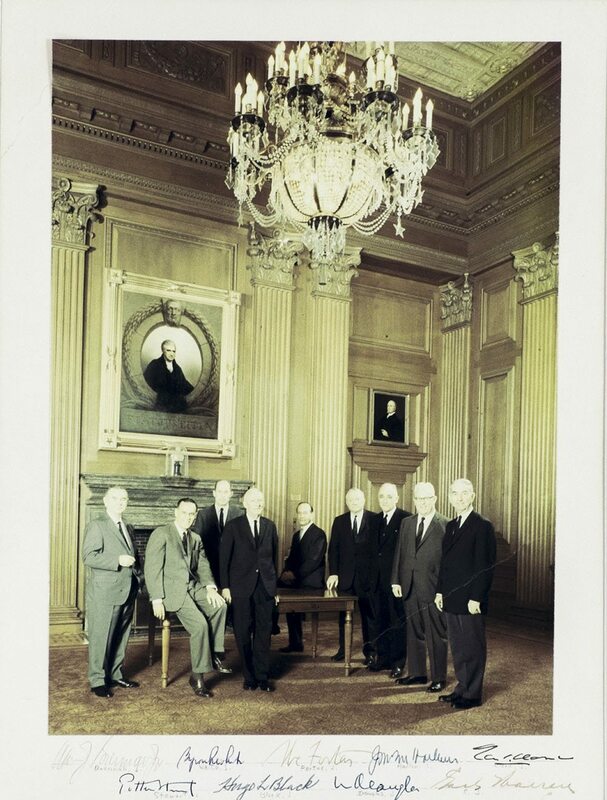 Earl Warren, Hugo L. Black, William O. Douglas, Tom C. Clark, Potter Stewart, John M. Harlan, Byron R. White, Abe Fortas, and William J. Brennan, Jr.
Large photograph from the Warren Court, signed by each justice. 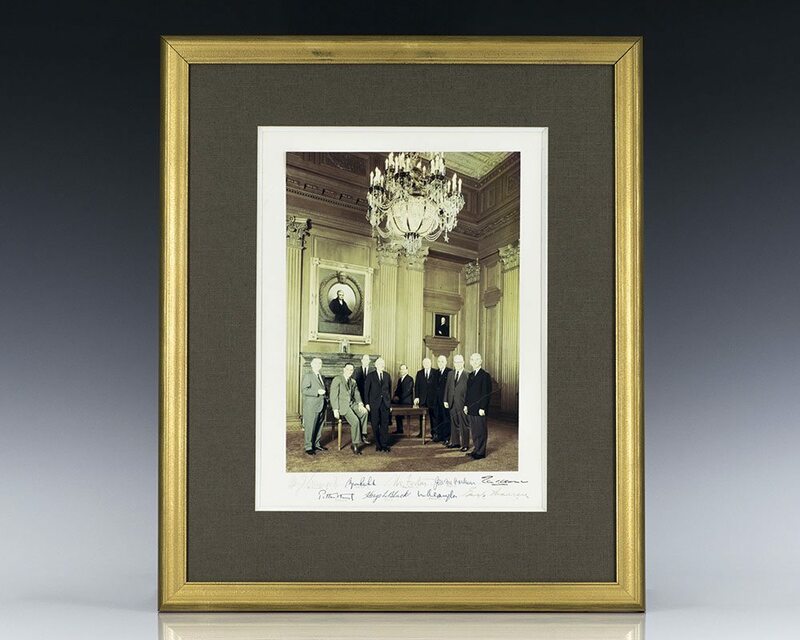 Signed by all nine justices: Earl Warren, Hugo L. Black, William O. Douglas, Tom C. Clark, Potter Stewart, John M. Harlan, Byron R. White, Abe Fortas, and William J. Brennan, Jr. 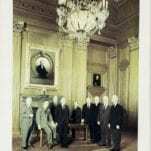 This photograph was taken by the National Geographic Society while these nine justice presided over the Court, and is a highly desirable fully signed example, infrequently seen in this large format. 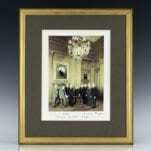 The photograph measures 8.25 inches by 11.25 inches. Matted and framed. The entire piece measures 17 inches by 20 inches. The Warren Court is best known for its landmark decisions, which outlawed segregation in public schools and transformed many areas of American law, especially regarding the rights of the accused, ending public school-sponsored prayers, and requiring "one man–one vote" rules of apportionment of election districts. He made the Supreme Court a power center on a more even basis with Congress and the Presidency, especially through four landmark decisions: Brown v. Board of Education (1954), Gideon v. Wainwright (1963), Reynolds v. Sims (1964), and Miranda v. Arizona (1966).